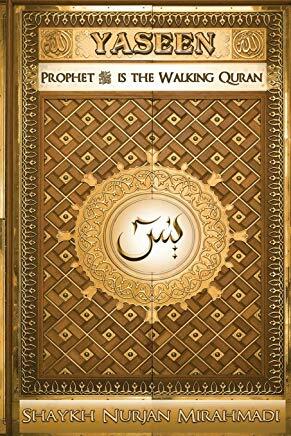 Holy Quran 33:56 Allah and His Angels send Prayers & Blessings on the Prophet: O ye that believe! Send ye blessings on Him [as], and Salutations with all respect. A reminder that Awliyaullah (Saints) come into our lives and they teach us the way of perfection and the perfection of character to the perfection of our light and our reality. 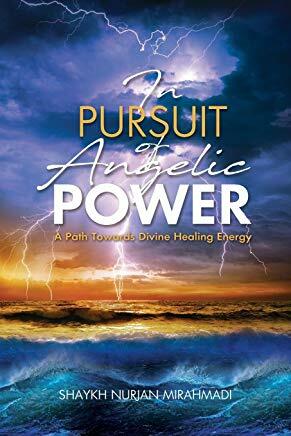 It is such a perfected and powerful way. One reminder for myself, as more difficulty fills the Earth that all our `Ulama, scholars, come and teach us that Allah (‘Azza wa Jal) asks us to make du‘a. “Ask Me istajibo, means ask Me and I will grant you. Ask Me and I will grant you. All our lives we are taught to pray, pray to Allah (‘Azza wa Jal), ask Allah (‘Azza wa Jal) for relief from difficulties, for stations, realities, for blessings, for everything. Awliyaullah come into our lives and begin to teach us that the reality of that du‘a and the secret of successful du‘a. How you can guarantee every time you make a du‘a to be 100% accepted in Divinely Presence? They teach us to make and praise upon Sayyidina Muhammad (sallallahu alayhi wa sallam). 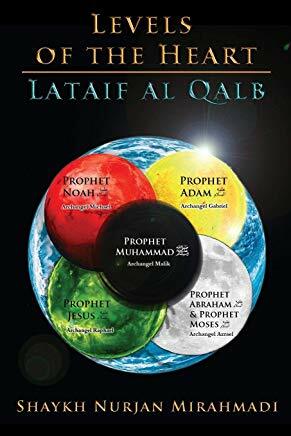 That is a reminder for ourselves that as much as you ask and you keep praying and praising upon the reality of Sayyidina Muhammad (sallallahu alayhi wa sallam) and a part of the Naqshbandiya wazeefa and awraad is Dalail al Khayrat and we have copies of that in English transliteration and in Arabic. That verily Allah (‘Azza wa Jal) and His most beloved and purified creation the Malayikah, angels, are constantly praying and praising upon the reality of Prophet (sallalahu alayhi wa sallam). By making that salawaat and durood shareef we are fulfilling Allah (‘Azza wa Jal’s) covenant, Allah (‘Azza wa Jal’s) request. 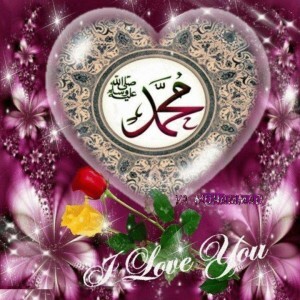 As soon as you begin to praise upon Prophet (sallallahu alayhi wa sallam), it takes away all our difficulties. We are all in difficulties because the du‘a is not rising, there is something blocking the du‘as that put us in difficulty. That whatever is not coming, health and rizq (sustenance) is not coming, and openings within the heart are not coming. They teach us that by the time the servant realizes and keeps asking, “O Allah grant me this station, O Allah grant me these lights, O Allah grant me these blessings.” This is based on your level and your reality. Maybe Allah (‘Azza wa Jal) says that your level is not worthy of that reality. Maybe there is something wrong within the being that Allah (‘Azza wa Jal) not going to grant that reality and that du‘a. Then how can you ask that, “O Allah grant me Qaba Qawsayni aw `Adna?” and Maqam al-Mahmood. Means to come up with every imaginable thing and think that you can sit and ask Allah (‘Azza wa Jal), you feel shy. You think: how can I ask for Qaba Qawsayni aw `Adna? Who do I think I am? Even from the smallest to the highest there is a level of concern that when Allah (‘Azza wa Jal) says “Pray,” and your response is only to pray for yourself, you are still in a selfish state of being. You are in a constant state of selfishness when all your prayers and all our concerns are about myself. They begin to do tazkiya, clean and purify and purify and says, “O remember that the Maqam al Iman is to love Sayyidina Muhammad (sallallahu alayhi wa sallam) more than we love ourselves. Why don’t you move towards Maqam al Iman (Station of Faith)?” You say, “How my Shaykh do I go towards Maqam al Iman?” Is then begin to praise and pray upon Sayyidina Muhammad (sallallahu alayhi wa sallam); busy yourself with darood shareef: Allahumma salle `ala Sayyidina Muhammad wa `ala aali Sayyidina Muhammad, Allahumma salle `ala Sayyidina Muhammad wa `ala aali Sayyidina Muhammad. And so many beautiful salawaat we have. Many (praises like) that are asking Allah (‘Azza wa Jal) grant Maqam al Mahmood to Prophet (sallalahu alayhi wa sallam), grant the Companions their reality, grant the Ahlul Bayt their reality, grant the light to Prophet (sallalahu alayhi wa sallam), take away any type of difficulty, take (away) any type of mushkilat upon him, grant what You promised him to grant, grant from every drop of rain, grant from every leaf on every tree. Allahumma Rabba hadhihid da’watit t’amma, wassalatil qaaema, aati Sayyidina Muhammadanil wasilata wal fadilata, wad darajatar rafi’atal ‘aaliyya, wab’athhu maqamal Mahmodalladhi wa’attah, warzuqna shafa’atuhu yawmal qiyama, innaka la tukhliful mi’ad. O God! Lord of this perfect supplication and of this established prayer, grant our master Muhammad the Means (of nearness to You), and the excellence of the sublime and supreme rank. Raise him to the Praiseworthy Station, which You promised him, and grant us his intercession on the Day of Judgement, for You do not fail Your promise. Allahumma salli `alaa sayyidinaa Muhammadin al fatihi limaa ughliq, wal khatimi limaa sabaqa, nasiril Haqqi bil haqqa, wal Hadi ilaa siratikal mustaqeem, wa `alaa aalihi, haqqa qadrihi wa miqdarihil `azheem. O Allah, bless our liege-lord Muhammad who opened what was closed and who sealed what had gone before; he makes the Truth Victorious by the Truth and he is the guide to thy straight path; and bless his household as it befits his immense stature and splendor. Allahumma salli `alaa sayyidina Muhammadin wa `alaa azwajihi wa zurriyatihi wa `alaa jamiin nabiyina wal mursalina wal malaikatil muqarrabina wa jami ’ibadillahis salihina `adada maa amtaratis samaau munzu banaitaha. Ya Allah, bless our master Muhammad (Sallallahu ‘Alaihi Wasallam) and his wives and progeny and all the Prophets and Messengers and closest angels and all the righteous slaves of Allah (Subhanahu wa ta’ala) in all the rain the sky has rained since it was formed. 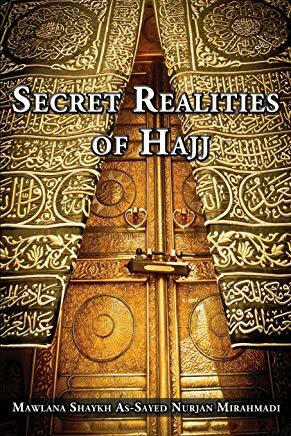 When you read them, it is immense and such beatific praising and they are all du‘as and 100% accepted du‘as because Allah (‘Azza wa Jal) accepts everything in association with Prophet (sallallahu alayhi wa sallam). That if you are praising upon My beloved one, no doubt I am accepting that praising. They begin to teach as you begin to praise and praise and read what you are praising, and see how beautiful these praising are. That how you want greatness for Prophet (sallallahu alayhi wa sallam), stations for Prophet (sallallahu alayhi wa sallam) and you want for his Companions and you want for his family (alayhi ‘s-salaam) and you want for all of these realties. Then Prophet (sallallahu alayhi wa sallam) begins to inspire within the heart that: I taught my Companions that what you want for yourself you should want for your brother. What do you think then when you are praising for all these realities to be put upon Sayyidina Muhammad (sallallahu alayhi wa sallam)? 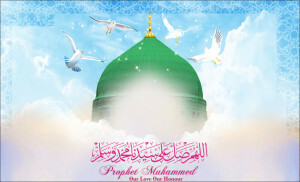 He (alayhi ‘s salatus salaam) is the perfection of akhlaaq and character. Who is the one who busies himself loving himself is a different category. That one is always in mushkilat (difficulties) because he is too occupied or she is too occupied with themselves of what they are going to get out of it. If they leave selfishness and enter into a selfless reality, where your whole focus is the love of the Prophets, all of them, they are a brotherhood. Yaa Rabbi grant them endless and infinite realities and blessings in their family, their companions, and everything when you read you can’t imagine what amazing praises are in there. And the response from Prophet (sallallahu alayhi wa sallam) is that, “I am going to ask Allah (‘Azza wa Jal), I am going to ask that for you.” That is 100% accepted by Allah (‘Azza wa Jal). If Prophet (sallallahu alayhi wa sallam) begins to ask, “Yaa Rabbi grant him from Maqam al Mahmod, grant his soul from Qaba Qawsayni aw `Adna to be with me wherever I am. Protect his family as he is asking for protection for my family, grant his companions and those whom he is with from that light and from that love.” That is the secret of companionship. Our Tariqa is based on the reality of companionship. Who you keep your company with? Not only the physical companionship but more important is the spiritual companionship. That which you remember, remembers you. That which you love, loves you. That which you focus on in life, focuses on you. Our whole way is built on the love of Prophet (sallallahu alayhi wa sallam), the remembrance of Prophet (sallallahu alayhi wa sallam), constantly praising upon the reality. Because as you praise upon Prophet (sallallahu alayhi wa sallam) you are saying, “Allahumma salli `ala Sayyidina Muhammad,” you are making a Zikr of Allah and that Zikr of Allah is the dress and the praise upon Prophet (sallalahu alayhi wa sallam). So you are making a Zikr of Allah, you are making darood shareef and that whole package becomes something in our lives that has immense sweetness, immense blessing. That the darajat (station) for you to rise up from difficulty is virtually impossible, because of all the things we put upon ourselves and all the difficulties that are surrounding us. But, if Prophet (sallallahu alayhi wa salam’s) nazar (gaze) begins to look upon the soul and say, “What you are asking for me, I am asking for you.” That relationship immediately pulls that soul into hadrat un Nabi (sallallahu alayhi wa sallam), into the presence of Prophet (sallallahu alayhi wa sallam). As much as you are remembering Prophet (sallallahu alayhi wa sallam), as much as Prophet (sallallahu alayhi wa sallam) is remembering you in a higher association, in a higher, infinitely higher darajat. Means that is something that we can’t even compare. They teach us that when you go back home, don’t keep worrying about making du‘a for yourself, pray upon Prophet (sallallahu alayhi wa sallam), praise upon Prophet (sallalahu alayhi wa sallam). Look for these very sweet daroods that have immense realities, that save us from calamity, save us from difficulty, grant us from your oceans and treasures and your sustenance. 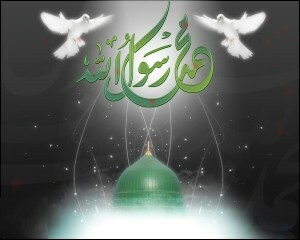 What you are asking from Prophet (sallallahu alayhi wa sallam) is 100% guaranteed and accepted in Divinely Presence. And Prophet (sallalahu alayhi wa sallam) begins to emanate that du‘a upon our lives. That is why you see the life of Awliyaullah and pious people is a life of tremendous blessings. Why? because of what Prophet (sallallahu alayhi wa sallam) is raining upon them. 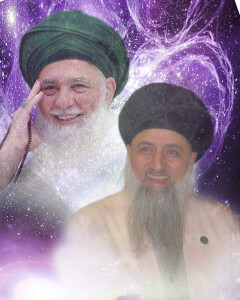 As they busy their entire being for the love of Sayyidina Muhammad (sallallahu alayhi wa sallam), then the nazar of Prophet (sallallahu alayhi wa sallam) is continuously upon them, praising upon them, raising their families, raising their companions, raising their souls in darajat and realities that are not even able to talk about or mention it, much less comprehend it. Because we could never make these prayers for ourselves, but you can make that sweetness and prayer for Prophet (sallallahu alayhi wa sallam). InshaAllah next week is the opening of next Lunar month, which is Jamad al Thani which is the opening of the birthday of Sayyida Fatima az Zahra. We will be celebrating (her holy birthday) on Saturday. We pray that Prophet (sallallahu alayhi wa sallam) dresses us from these lights and bless us from these lights and that we take heed and make our tongue to be sweet in the praising upon Sayyidina Muhammad (sallallahu alayhi wa sallam). And not to worry about ourselves, not to think about ourselves. As much as you can make the focus upon Prophet (sallallahu alayhi wa sallam), praising upon the Prophet (sallallahu alayhi wa sallam), then the guarantee from Sayyidina Muhammad (sallallahu alayhi wa sallam) to take away difficulty. When Prophet (sallallahu alayhi wa sallam) praises, “Yaa Rabbi take away difficulty, balaa, from this beloved one, what do you think Allah (‘Azza wa Jal’s) response is? No doubt when Allah says within the Qur’an: When they are oppressors they come to you yaa Rasulullah. Means we are no doubt oppressors to ourselves. When we come to the most beloved of all Creation and Prophet (sallallahu alayhi wa sallam) mentions you in Divinely Presence, that is something unimaginable. That is for one salawaat on the Prophet and the Prophet promised that I will praise you ten times, just remember me once, and this rahma will dress you eternally. That number ‘ten’ in the world of light, we have no beginning and no ending. 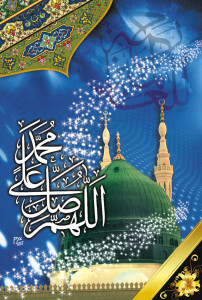 Understand the Power of Prophet )’s Intercession! We pray in these days of difficulty that that reality really opens within our heart, that we begin to understand the power of darood shareef, the power of salawat, the power of focusing upon the love of Sayyidina Muhammad (sallallahu alayhi wa sallam). To understand how it perfects everything, how it corrects everything, how it makes everything to be from Siraat al Mustaqeem. As much as you are loving Sayyidina Muhammad (sallallahu alayhi wa sallam), he is inspiring as much for your life to be corrected, your way to be corrected, your lights to be corrected. That is the greatness of the intercession, that Allah (‘Azza wa Jal) gave intercession to Sayyidina Muhammad (sallallahu alayhi wa sallam). We are not only waiting to have it in the grave but we are waiting to have it now in every moment, that Prophet (sallallahu alayhi wa sallam) intercede for us and raise our darajaat. That Prophet (sallallahu alayhi wa sallam) intercede for us, perfect our rizq and sustenance, in days that are coming of tremendous difficulty. Why do they have difficulty in their sustenance? They should have no difficulty in their sustenance. Because they are not making darood shareef and they are not listening to the guidance. This guidance is very powerful, it is enough to keep you alive through calamities that you can’t imagine. It is powerful enough to keep you sustained and fed and covered with shelter with no difficulty. Because Allah (‘Azza wa Jal) said for His Awliyaullah that: don’t be scared, don’t be afraid of anything. Means there is no fear and nothing to fear when Allah (‘Azza wa Jal) is with you, when Sayyidina Muhammad (sallallahu alayhi wa sallam) is with you. But where we are coming short is when we are not with them, when we are not with Allah (‘Azza wa Jal) and when we are not with Sayyidina Muhammad (Sallallahu alayhi wa sallam), we have tremendous fear and tremendous difficulty and testing and mushkilaat. We pray that Allah (‘Azza wa Jal) takes those away by way of salawaat an Nabi (sallallahu alayhi wa sallam), and take difficulty and calamity away by the love of Sayyidina Muhammad (sallallahu alayhi wa sallam). And that Allah (‘Azza wa Jal’s) Rahma always to be upon the ashiqeen (lovers of Prophet), for Allah’s Mercy to be always dressing the ashiqeen and their companions. Subhaana rabbika rabbil izzati `amma yasifoon wa salaamun `alal mursaleen wal hamdulillahi rabbil `aalameen. Bi hurmatil Muhammad al-Mustafa, bi sirri surat al-Fatiha.